Book a skilled gutter cleaning expert in Kansas City. Backed by a total satisfaction guarantee and amazing customer support. Interested in the best rated gutter cleaning services in Kansas City, MO? Lawn Love is lawn care made easy. It's never been easier to get the #1 rated gutter cleaners to your door. Book gutter cleaning services now and see how easy it is. 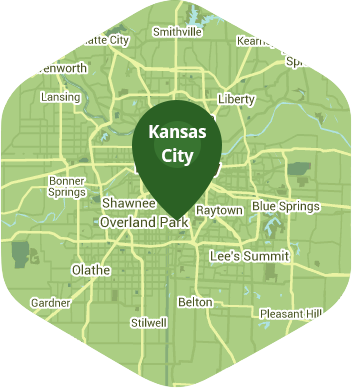 Kansas City is unique because it is a city that spans across two states: Kansas and Missouri. It is also home to the most barbecue restaurants per capita in the entire U.S., and has more than 200 fountains in it. It is also a city that has more boulevards than Paris itself, so you would definitely want to have enough free time on your hands so you can explore and enjoy this city. You won't be able to truly enjoy Kansas City if your weekend is going to consist of you doing some gutter cleaning at home. Call Lawn Love and let our experts clean your gutters for you. Cleaning your gutters is not only dangerous, but it can also be messy. However, it is something that needs to be done regularly because gutters play a very important role in keeping your home and surrounding property safe from water damage. They redirect rainwater from your roof and away from your home to prevent any damage from being done to them. They can become clogged up with sticks, leaves, and other debris if they are not cleaned up regularly, and this can cause them to not function well as a result. What's worse, they can even become a haven for insects, rodents, and mold. At Lawn Love we can clean your gutters thoroughly and make sure that most of the debris clogging them up are removed. Our independent experts can get the job done quickly and safely, and all for a good price. If you feel that your home could use some professional gutter cleaning, you can call us at 816-527-9015, or get a quick online quote for free to view our rates.